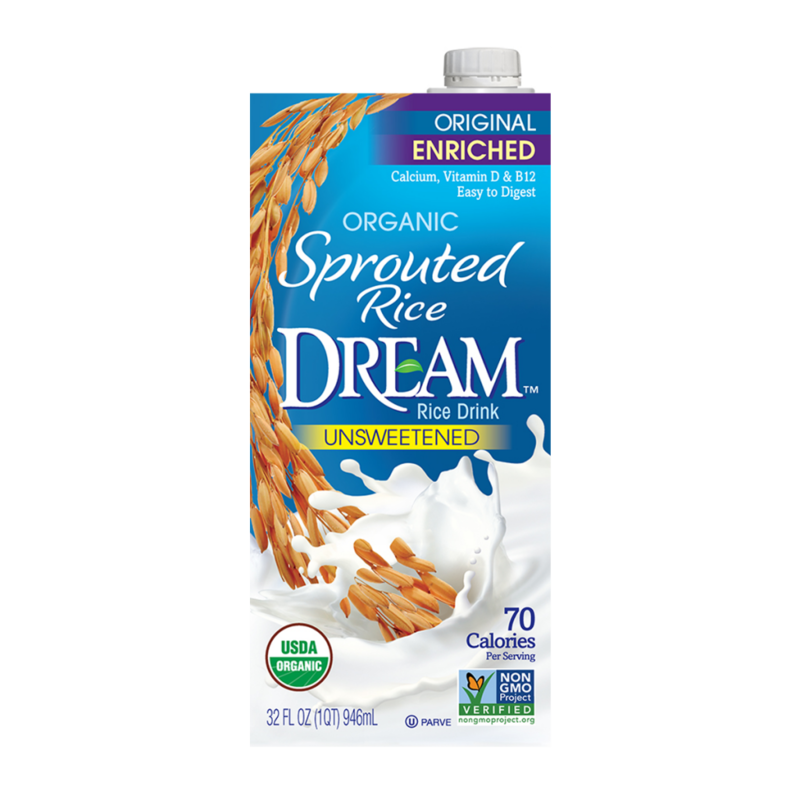 Enjoy the clean, refreshing taste of Sprouted Rice DREAM™ Unsweetened Organic Rice Drink. This easy-to-digest plant-based beverage is made with organic sprouted brown rice. Sprouting enhances the bioavailability of the nutrients in the rice, allowing for easier absorption. Made with no added sugar, it’s a deliciously refreshing and nourishing beverage alternative. Want to learn more about the benefits of Sprouted Rice DREAM™ and our other products? 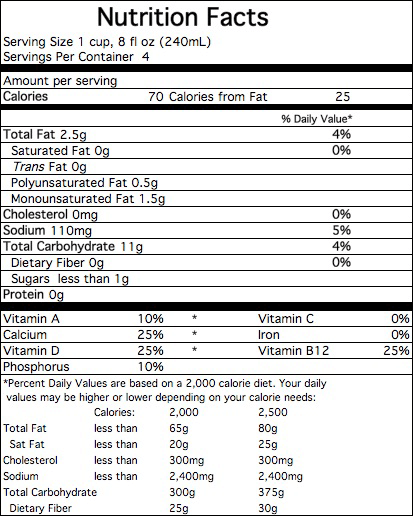 ORGANIC RICE BASE (FILTERED WATER, ORGANIC SPROUTED BROWN RICE), ORGANIC EXPELLER PRESSED CANOLA OIL AND/OR ORGANIC SAFFLOWER OIL AND/OR ORGANIC SUNFLOWER OIL, ORGANIC TAPIOCA STARCH, TRICALCIUM PHOSPHATE, CARRAGEENAN, NATURAL FLAVORS, SEA SALT, XANTHAN GUM, VITAMIN A PALMITATE, VITAMIN D2, VITAMIN B12.